What was your lightbulb moment for Moonlite? Moonlite came about in the most organic of ways, through bedtime shadow play with my daughter. We had this ritual where I would bring my phone up into her room, turn on the flashlight and make up stories out of shadow puppets. We had so much fun doing this, and that is what first gave me the idea of Moonlite. I wanted to find a way to get her favorite stories up onto the ceiling or wall. That was in March of 2016, and by June 2016 I had my first prototype in hand. By December 2016, I launched the product on Kickstarter. How did you test your concept? Originally, just with my daughter and her friends. I was a one-woman show and didn’t have many resources. I saw how happy they were with the product and prototype and I knew I had stumbled upon something special. Did you give up a day job to pursue this? I always knew that I wanted to be an entrepreneur. There is something so exciting about coming up with an idea and seeing it through to fruition. I had been at Google for over 7 years and I wanted to give myself the time to explore entrepreneurship. When I stepped back from my career, I started to come up with a bunch of different ideas—but, it was in an organic moment that I had the idea for Moonlite. You never know where these ideas will come from. How did you decide whether to self-produce or license? My personal journey is likely different than most. My family is my number one priority. I knew I needed to find a solution that would allow me to put my family first but also help drive the dream of creating a product. Licensing made the most sense for me. I love being a mom and entering into a licensing agreement gave me more flexibility. Also, this was my first stab at a consumer packaged good. I didn’t know the first thing about manufacturing and I knew that teaming up with an amazing partner, like Spin Master, would reduce the risk and help make a higher quality product. How did mentors help you along the way? I think mentors and your network are key to your success. During this journey, there are so many ups and downs, and I think that any entrepreneur can tell you that these things are completely normal and expected. Your mentors guide you, help you see things from different perspectives and offer advice when you need it the most. How did you fund Moonlight? Bootstrap or financial assistance? I had friends & family invest in an angel round and then I went onto Kickstarter. Did you plan all along to do a Kickstarter campaign? I did not. I was terrified of Kickstarter because it was ‘the unknown’ to me. I was scared to put myself out there in a public forum. I had given myself one year to see Moonlite through. I was approaching the end of the year and hadn’t really been able to show any traction. I knew that Kickstarter would help show if this product truly had a place in the toy world. It was kind of a last-ditch effort. What kind of support did you have for your Kickstarter? I created the page by myself and did almost everything myself. I had an amazing video team help produce the video, which has since gone viral with over 50M video views. I allocated some of my angel seed money to marketing, and that was it! The support of the backers was tremendous. Moonlite went on to be one of the top children’s toys on Kickstarter, ever! We sold over 10,000 devices and 50,000 stories in one month—which was way beyond my wildest dreams. What was key to your successful Kickstarter campaign? I think it all starts with a good idea. After that, it is tenacity and making sure you see things through. I was involved in every little detail with Moonlite (and continue to be for the most part). You also need to know exactly who your target market is and make sure your product appeals to them. I think New York Toy Fair was the most exciting trade show I have ever been to! The first year we exhibited, we were in the basement start-up area. It was so energetic, we made so many different connections, got so much feedback — overall a great experience. I think there are good days, GREAT days and bad days. It is all part of the cycle and journey. I have learned to celebrate the great days and just accept and learn from the not-so-great days. You need to learn to rise above, move on and keep steering the ship. Entrepreneurship is not for the faint of heart and I think that having the right mindset helps tremendously. I like to reflect on my favorite quote from time to time because there is so much truth in it. ‘There is no such thing as luck. Luck is what happens when preparation intersects with opportunity.’ Remember this mantra, memorize it, repeat it — do whatever you need to keep it in your mind. There is no ‘easy-way’ — behind every great product was a lot of hard work, love, sweat and tears — Don’t listen to anyone who tells you differently! One day you will look back and see that this was all worth it. 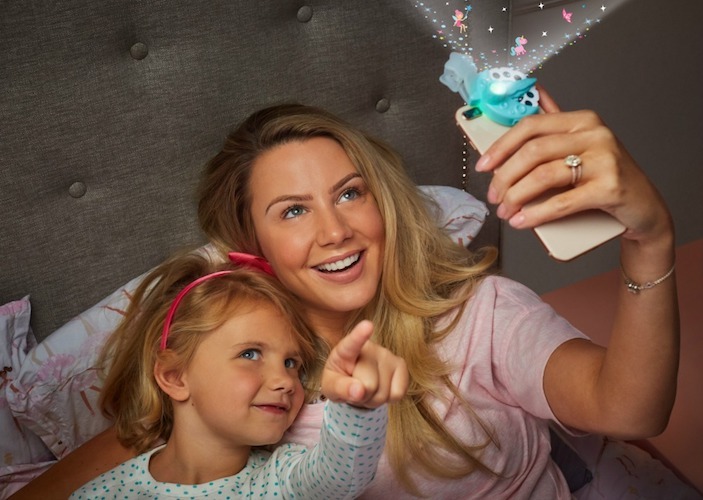 Natalie is the inventor of the Moonlite Storybook Projector, a product that turns any mobile device into a magical storytime experience. Moonlite is an award-winning product that went viral with over 50M organic video views to date. The product that came to life via Kickstarter in 2017 and is now sold in retail stores worldwide. Natalie is a mom to a 5-year-old girl, named Chloe. Chloe was the inspiration behind Moonlite as she loved to do shadow play based-stores before bed. Natalie loved how Chloe’s whole room became part of the storytelling experience and thought she could enhance the shadow play experience, and that’s how Moonlite was born. Natalie has a vast range of work experience. She is an ex-Googler who worked in a variety of different roles during her 7-year tenure at Google. Some of the products she developed have been integrated into Google Adwords. She received her Bachelor’s Degree in Software Engineering in 2005 and then went on to get her MBA and graduated in 2009. 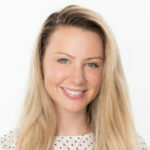 Natalie is currently heading up all Moonlite product development and marketing at Spin Master, her licensing partner.